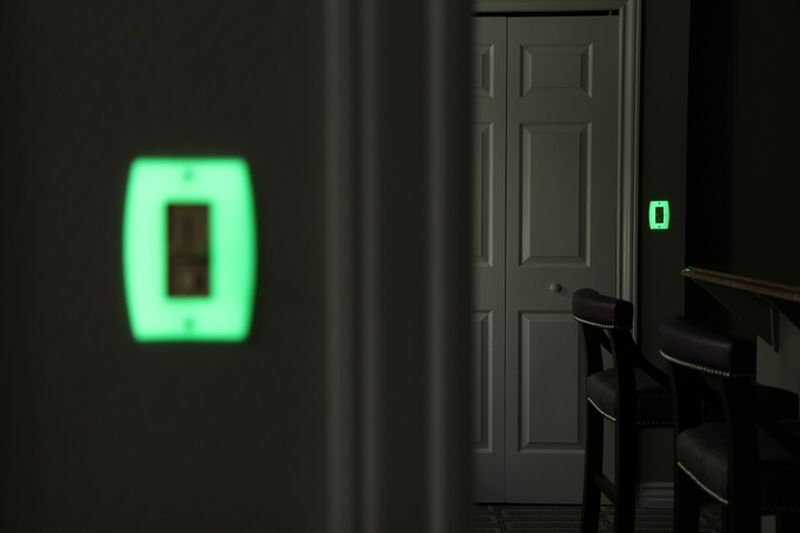 San Francisco- based industrial designer David Shaw and his mother Jane Shaw re-imagined traditional light switch plates with a fantastic concept. 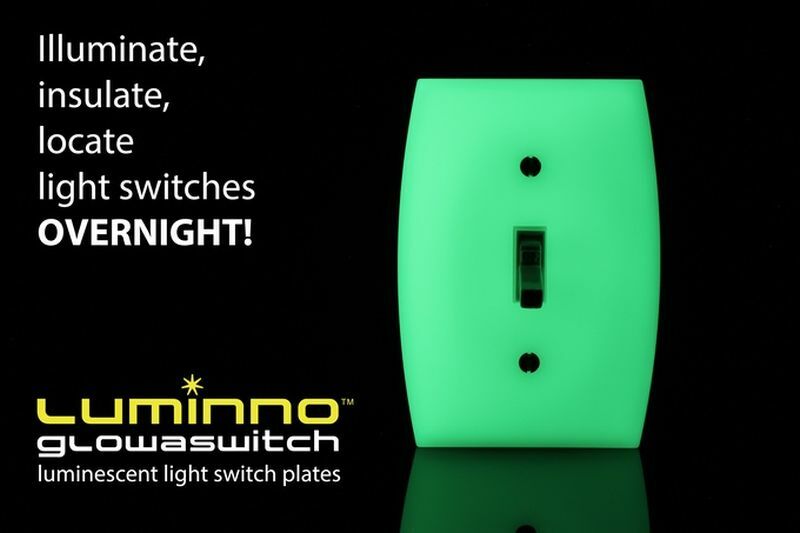 They crowd-funded the Lumino GlowaSwitch at Kickstarter, and designed them with patented photo luminescent and energy-saving insulation features to upgrade existing ubiquitous fixtures. 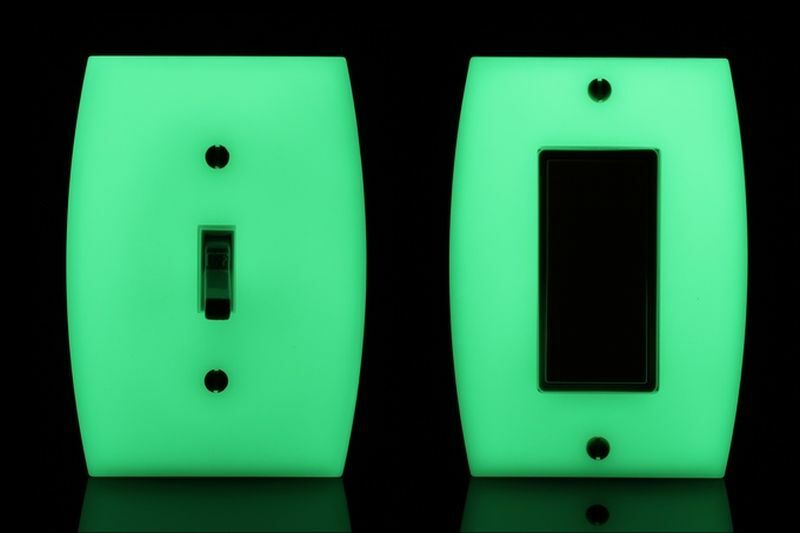 With glowing feature the light switch plates can be easily located in dark while the insulation option will preserve energy. 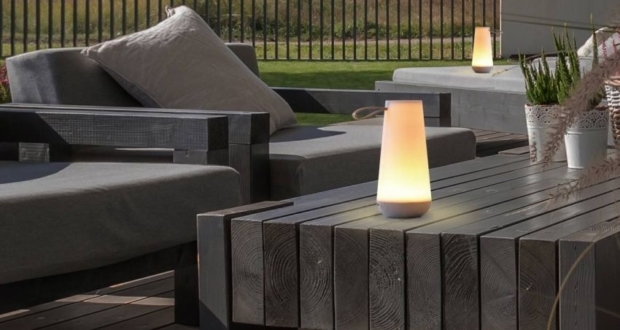 Moreover, there is no need of any power, wiring or bulbs in the design to glow out in dark. It is available in Toggle and Rocker versions. 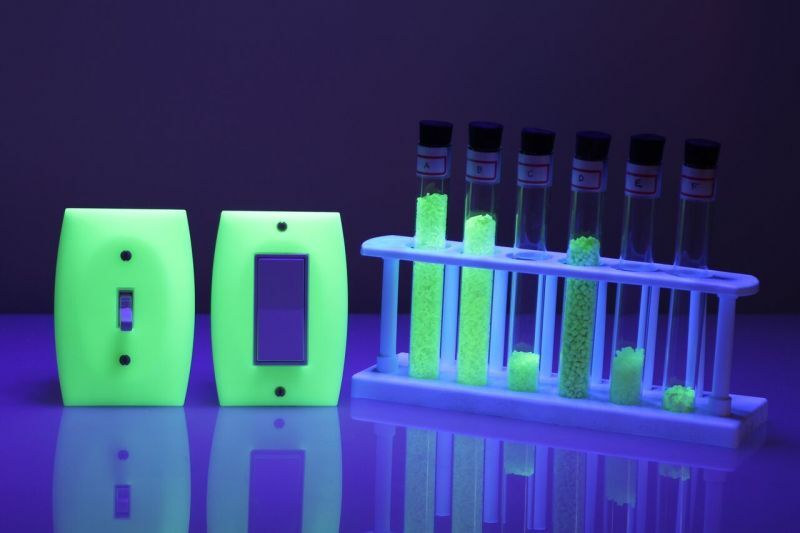 Each version of GlowaSwitch is made of photo-luminescent glow-in-the-dark plastic. 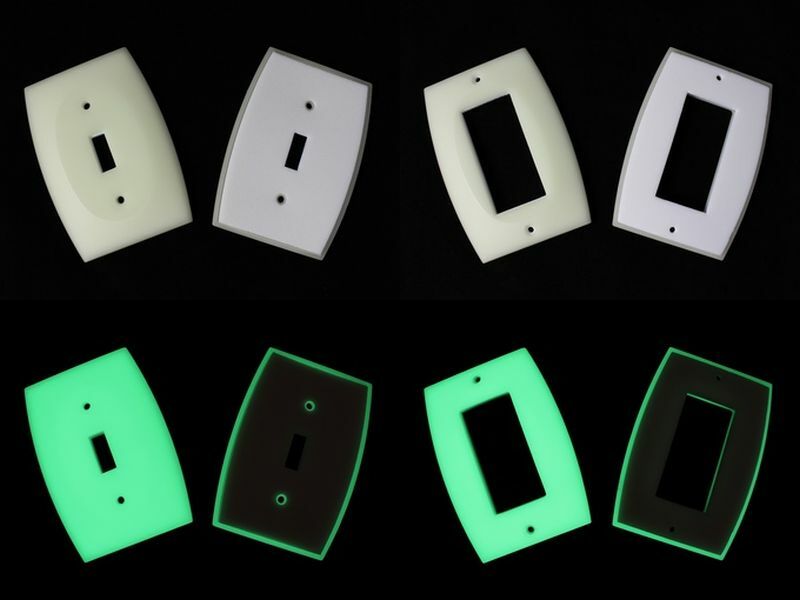 The front surface of light switch plate is convex shaped to ensure visibility from any angle. To make it fire retardant and insulating, an opaque white foam gasket is also included behind switch plates. 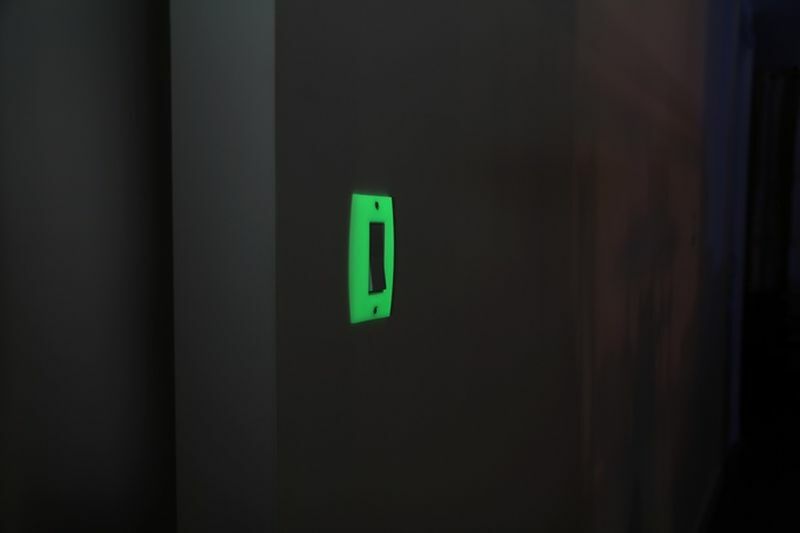 These switch plates works best at location where light charges its glowing surface. 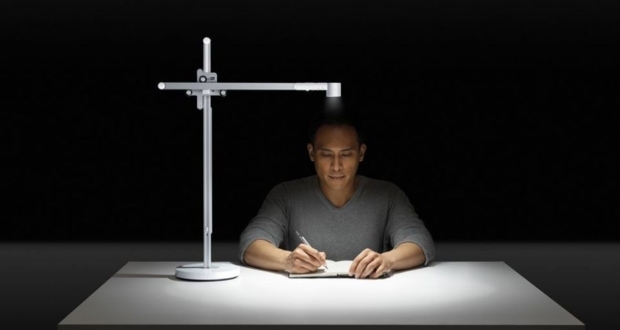 It also allows light transmission through its whole body to maximize the charging potential. 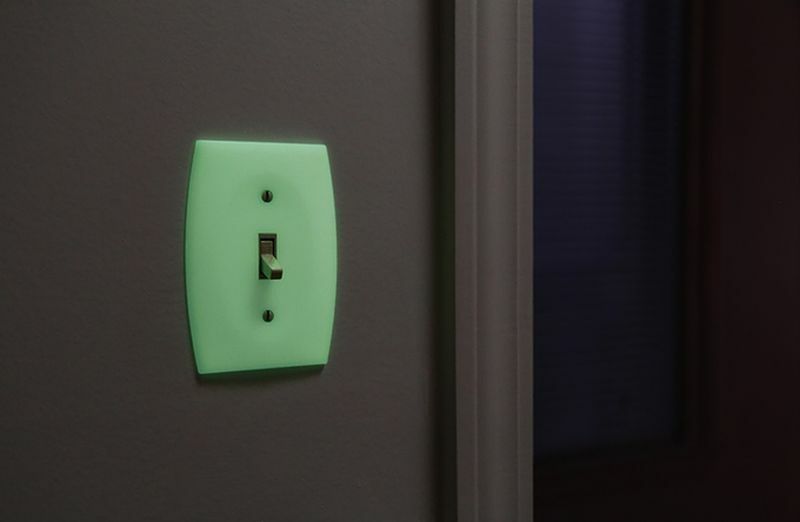 The white foam gasket behind the plate reflects the light back to light switch allowing two-way charging and also maintains its glow performance. 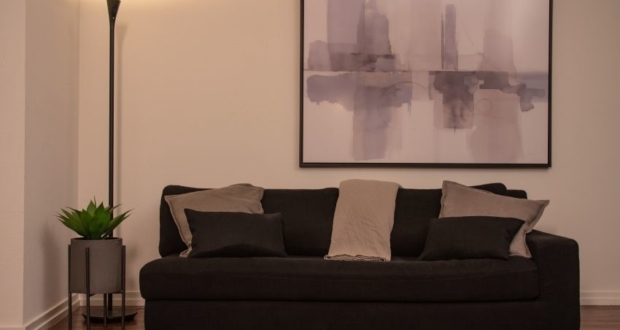 GlowaSwitch works great in frequented places that have windows and lights like most bedrooms, bathrooms, kitchens, living rooms, and hallways. 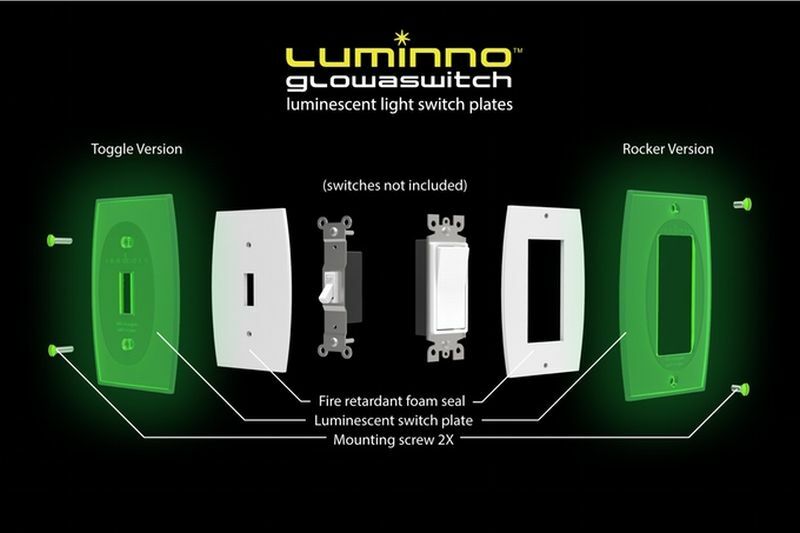 The standard light switches at home can be easily replaced with Lumino GlowaSwitch as it needs no special expertise. 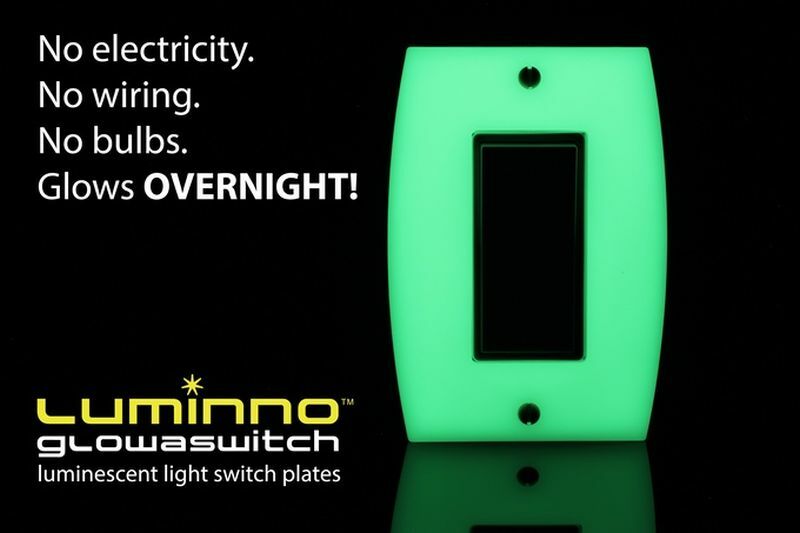 It easily fits over the standard switch plates and two mounting screws make the installation process simple. 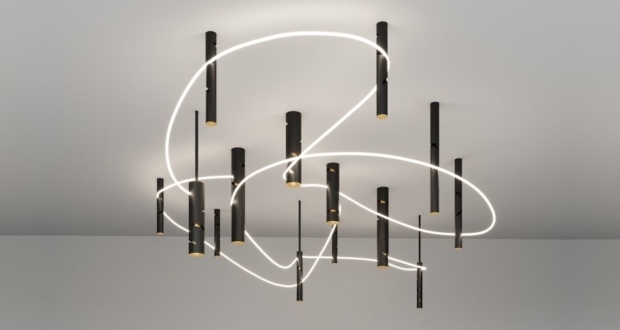 Its design not only optimizes its function, but also lends it decorative aesthetic for homes. 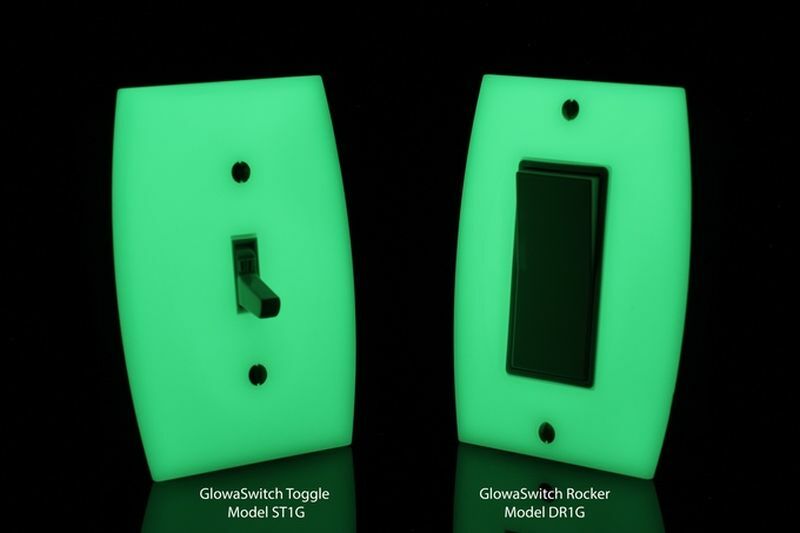 Its industrial design with premium quality materials makes it a better product among other glow-in-dark switch-finding solutions available in the market. 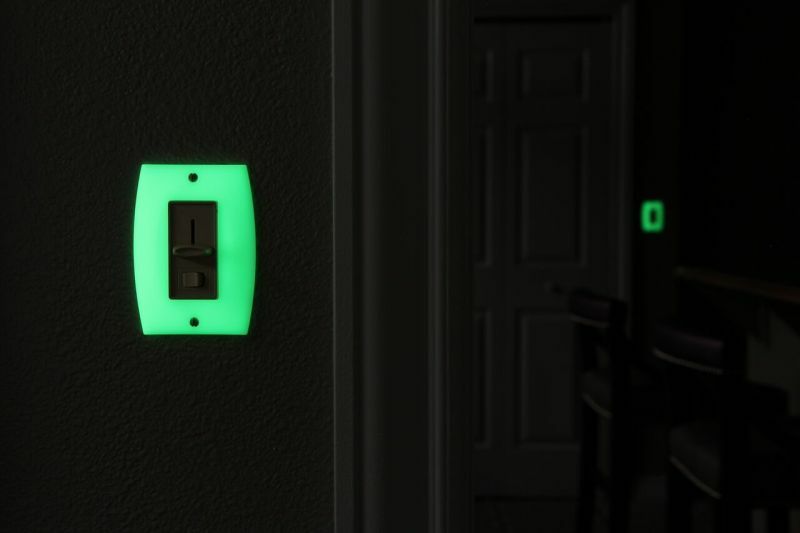 After you have installed GlowaSwitch, it automatically charges through light from various sources and glows in dark. Furthermore, it is affordable and sustainable enough product. 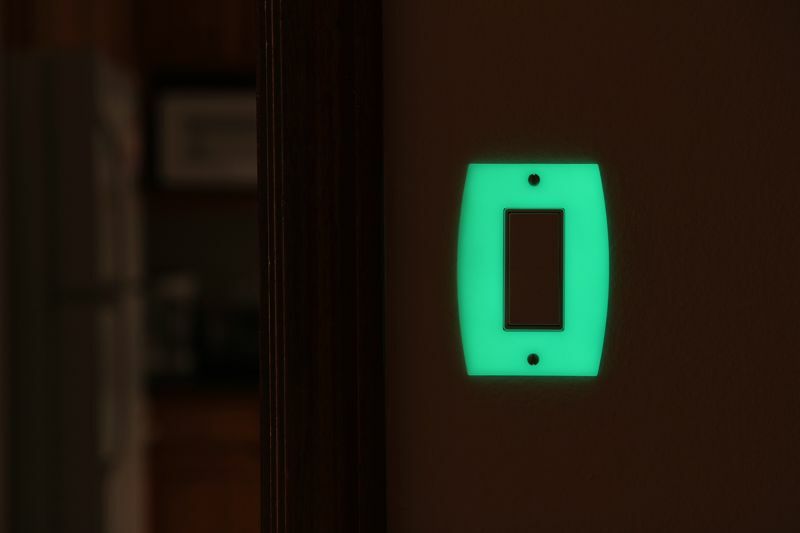 These light switch plates not only benefit you by giving an alternative for finding light switches overnight, but ultimately lessens energy costs throughout your life. GlowaSwitch can be purchased by pre-ordering through Kickstarter until August 31, 2016.